Walk tall in cropped trousers. 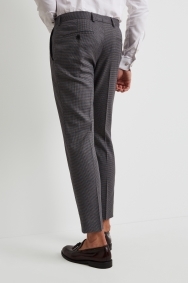 With their tweed-inspired puppytooth pattern and skinny fit, these Moss London trousers are a strong addition to any on-trend wardrobe. Their cropped design will lengthen your frame and give a platform to your shoes, while their machine-washable material with stretch makes them ideal for regular wear. 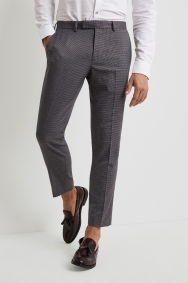 Team them with a skinny fit white shirt and brown tassel loafers for a razor-sharp outfit.